Here is some math, for a change, behind a typical load of our vegetable and fruit purchase and consumption. What you see here, nicely arranged for photography purpose!, makes 14 kg of fruits and vegetables, serving the two of us for one week (when added to other main ingredients such as rice, potatoes, meat, that is). It costs $33.35. 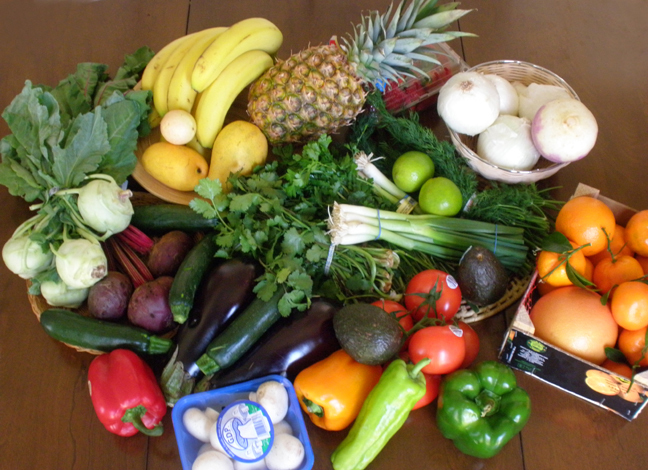 How does it compare to your grocery shopping?? Good deal, is what I think!